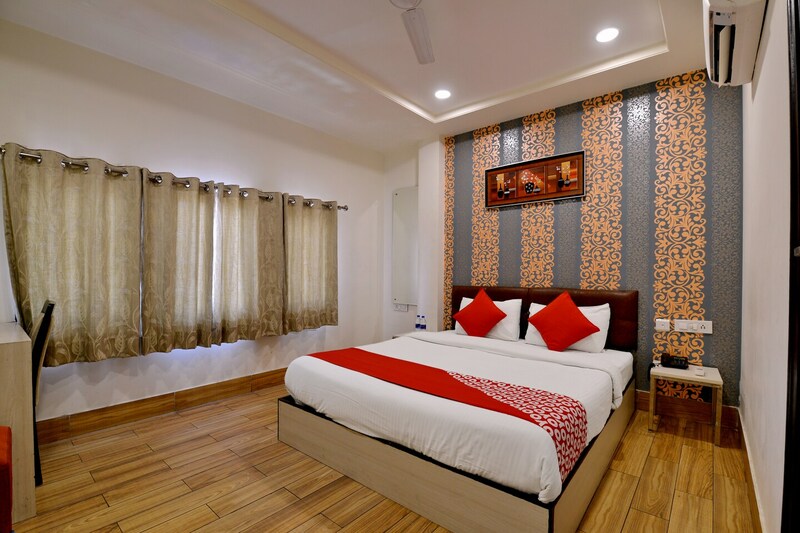 The rooms at Hotel Vijay Palace are very comfortable and the hotel also provides a number of basic amenities. The rooms have been allowed a lot of room and are well-furnished. Wallpapers with quirky and elegant patterns have been used throughout the room to enhance the overall homely feeling. The rooms have been provided with a number of windows that allow a lot of fresh air and bright sunlight into the room. The additional features provided by the hotel are free Wi-Fi, card payment in all forms, an elevator facility, and CCTV cameras. The front desk service is manned by experienced and helpful staff who try to solve all problems faced by the guests.